Magnesium is the main element used in the composition of the 5000 series grades of aluminium. The 3 most popular commercial grades in this category are 5083, 5754 & 5251. The 5000 series grades of aluminium are non heat-treatable alloys. The temper is achieved by the plate being fully annealed and then rolled to the required temper, rather than being heat treated. The 5000 series grades also have excellent resistance to corrosion caused by saltwater, for this reason the 5000 series grades of aluminium are often referred to as the Marine Grades of aluminium. Grade 5083 has the highest strength of all of the non heat treatable alloys, although it is not as strong or as hard as the more common grade 6082. Grade 5083 is primarily available in plate form, and is most commonly available in O condition. Grade 5083 aluminium has truly excellent resistance to both chemical and atmospheric attack. 5083 aluminium performs particularly well in sea water / salt water and for this reason is often referred to as a marine grade of aluminium. Grade 5083 Aluminium has excellent weldability, and it also retains most of its strength after wielding. Please be aware that grade 5083 aluminium is not suitable for working in temperatures over 65 degrees C.
Grade 5083-O Aluminium plate is not recommended for machining. Where machining is required, grade 6082 is usually a more suitable option. Grade 5083-O is suitable for bending, folding and cold working. Grade 5083-O aluminium plate is excellent for protective, colour & bright anodising. It is particularly suited to hard anodising. It is also suitable for polishing & powder coating. Grade 5754 is a medium strength alloy. For comparison it is not a strong as grades 6082 or 5083, but 5754 is stronger than grade 5251. Grade 5754 is most commonly used to produce aluminium 5 bar treadplate (often referred to as aluminium chequer plate). 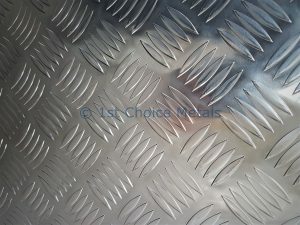 Usually aluminium chequer plate is manufactured from grade 5754 aluminium, in H114 condition – which is half hard. As with the other 5000 series grades, 5754 H111 aluminium has excellent resistance to both chemical and atmospheric attack. Grade 5754 aluminium performs particularly well in sea water / salt water and for this reason is often referred to as a marine grade of aluminium. This makes aluminium chequer plate, supplied in grade 5754, the perfect grade for walkways and floorings on boats. Grade 5754 aluminium chequer plate is suitable for gas, arc and resistance welding. Grade 5754 aluminium has less than average machineability. Grade 5754 chequer plate is excellent for cold working. It is a fully bendable grade of aluminium that is designed so that it will not crack or split during folding – making it perfect for fabricating platforms, steps, trays etc. Should you require your aluminium chequer plate folded / bent / welded then please contact us for a quotation. Grade 5754 aluminium is excellent for all types of anodising, powder coating & it can also be polished. 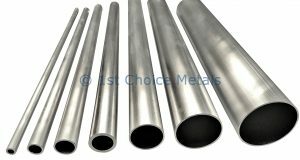 Grade 5251 is a medium strength alloy, usually supplied in sheet form, and is most commonly supplied in temper H22. Previously known as NS4, grade 5251 has many similar attributes to grade 1050 aluminium sheet and is probably the 2nd most popular grade of aluminium sheet used in the UK today, with grade 1050 being the most popular. Please contact us with your enquiries for 5251 / NS4 aluminium sheet cut to size. We also offer a folding & fabrication service. Grade 5251 aluminium has excellent resistance to both chemical and atmospheric attack. Grade 5251 aluminium also performs particularly well in sea water / salt water and for this reason is often referred to as a marine grade of aluminium. This makes aluminium sheeting supplied in grade 5251, the perfect grade for cladding & panels boats. Grade 5251/ NS4 aluminium plate is suitable for gas, arc and resistance welding. Grade 5251 aluminium has less than average machinability, however it is suitable for laser cutting and is supplied with a protective PVC coating on one face. Grade 5251 / NS4 aluminium sheet is suitable for cold working. It is a fully bendable grade of aluminium, though due to its higher strength it is more difficult to bend than grade 1050. Grade 5251 aluminium sheet also rapidly work hardens. 5251 is the only grade of aluminium that age softens. Should you require your aluminium chequer plate folded or welded then please contact us for a quotation. Grade 5251 aluminium is excellent for all types of anodising, powder coating & it can also be polished.